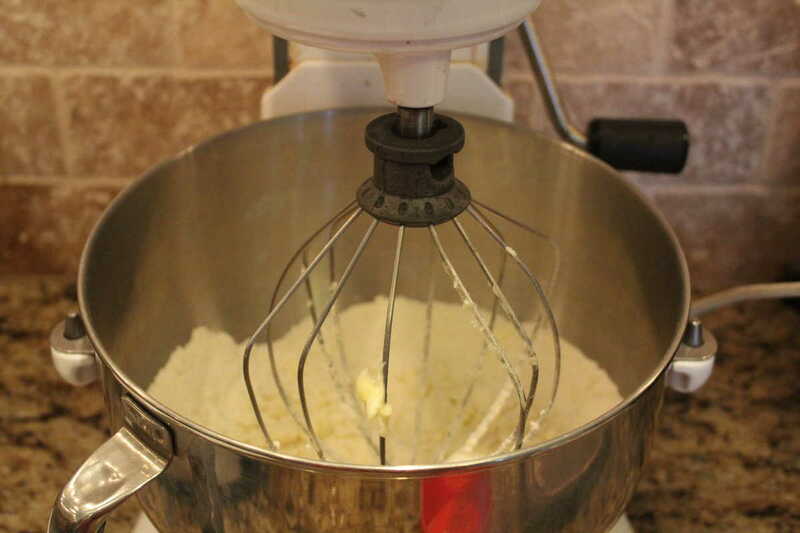 Mix together the flour, baking powder, salt, melted butter, sugar, eggs, and vanilla. 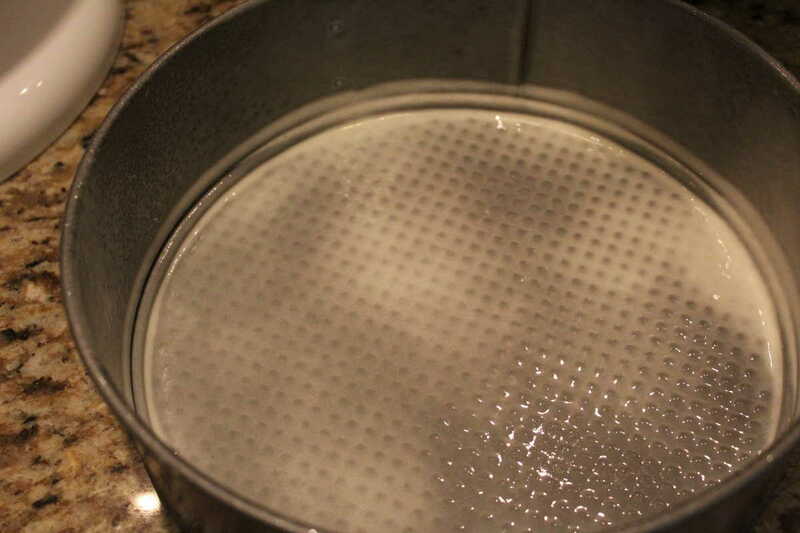 That will be your base layer for the cake. 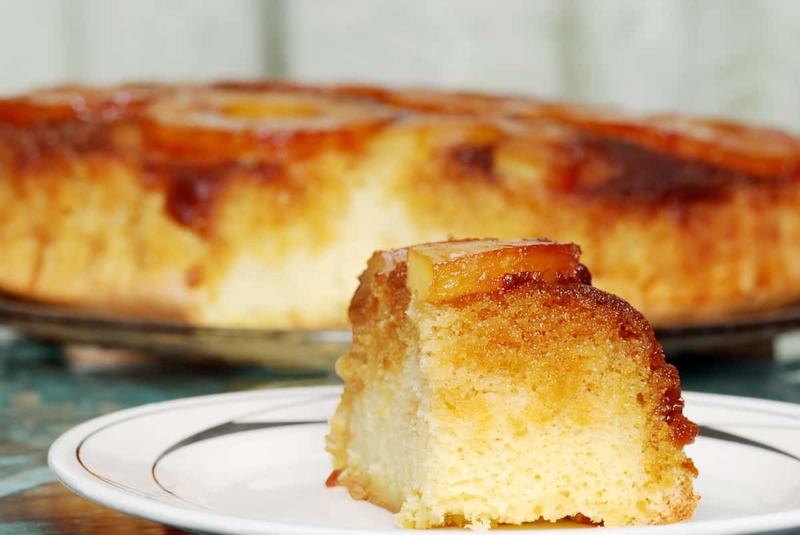 Then in your springform pan, spray with non-stick cooking spray. 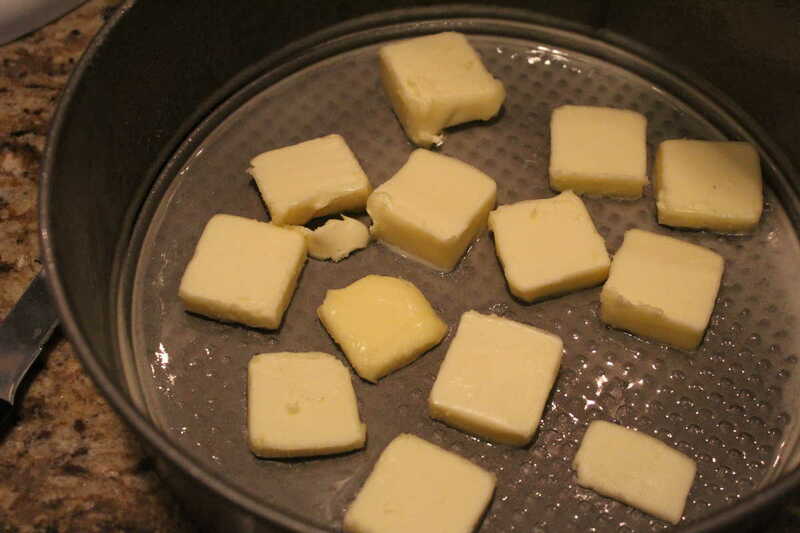 Then add the cut up butter all around your springform pan. 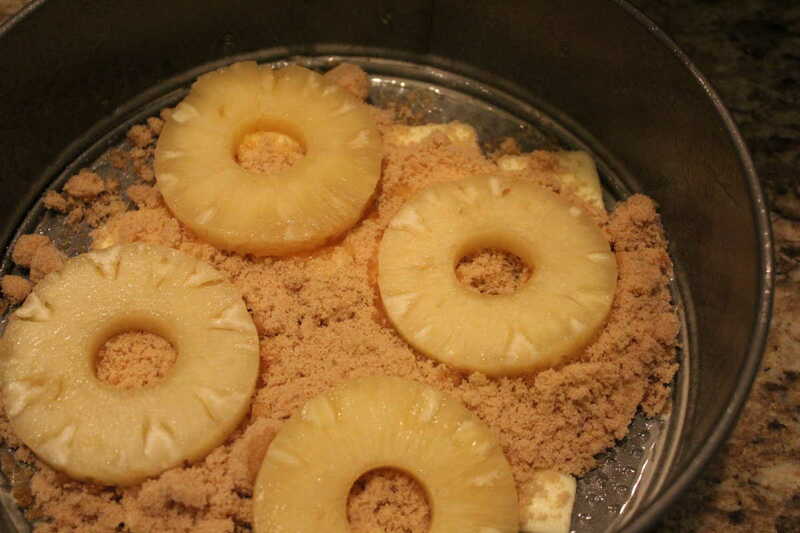 Then on top of that place your brown sugar, then place on the brown sugar your pineapple slices. 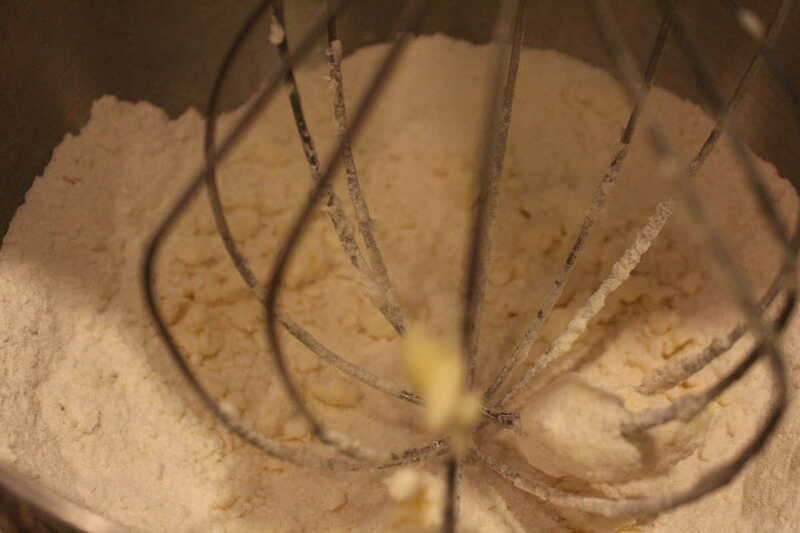 Then pour the batter into the springform pan and pat down. Set manual high temperature for 18 minutes. Let it naturally release. 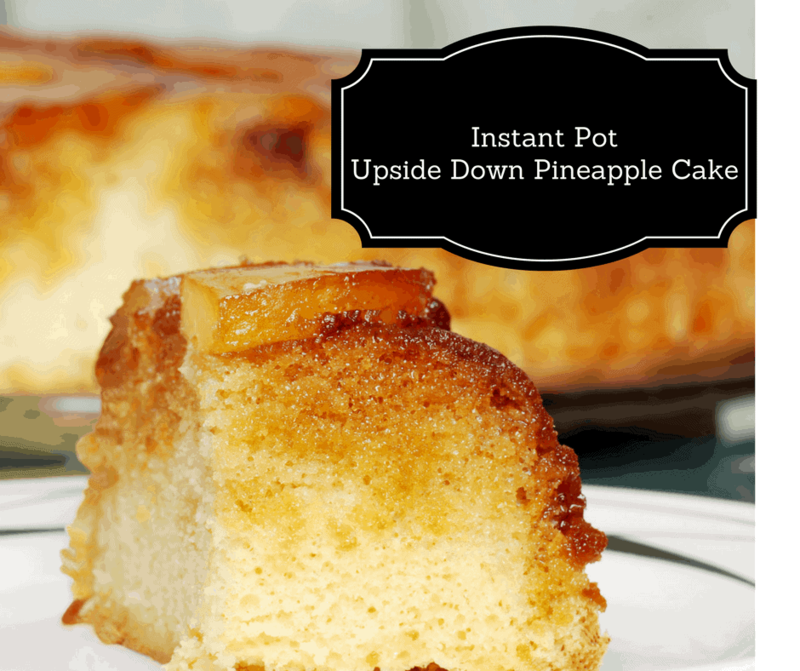 Cool, flip over and enjoy!